The Sonoff range of products containing the ESP chips from espressif has a myriad of uses and best of all, you can customize it, aka hackable. This quick cookbook aims to provide a clear, simple working example. This example is very basic in it’s operation. Start the pump every hour and run it for 10 minutes. 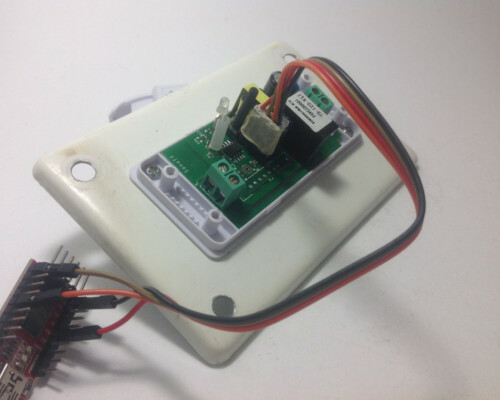 Manually start and stop the pump with the toggle button on the Sonoff basic. Use a water float sensor and stop the pump if water level is too low. You have installed the relevant environment and it is functional (Home Assisant, ESPHome). You need to create your own secrets.yaml file. You are proficient in reading instructions and capable of using a search engine. You will look at the documentation on this website (we may have missed something in this example). This serves only as a guide and errors and outlets are excluded. Here is the configuration with the basic operations outlined above. 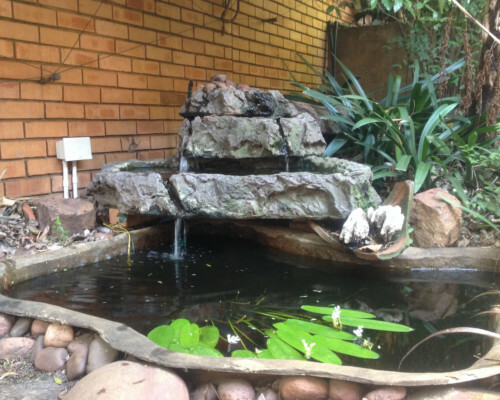 name: "ESP Fish Pond System Uptime"
name: "ESP Fish Pond WiFi Signal"
name: "ESP Fish Pond Restart"
name: "ESP Fish Pond Pump"
name: "ESP Fish Pond System Status"
name: "ESP Fish Pond Button"
Follow the standard way of uploading to your Sonoff basic. Modifications (soldering) made on the PCB for USB UART / FTDI uploads. The relevant USB UART / FTDI uploads device connected to you PC and to your Sonoff. Start Sonoff in programming mode. Compile and upload the firmware via USB using esphome <some-yaml-file> run. Ensure power is switched off. 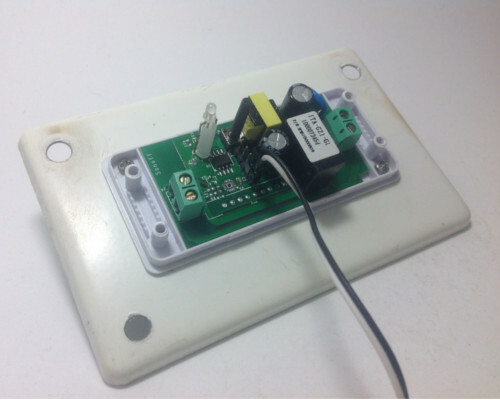 You can now add your water level sensor wiring to the PCB and have it extrude, SAFELY, next to your connector block. Here it will be the further most pin (GPIO14) you soldered from the toggle button and then pin (Ground) next to it. You can now easily connect and disconnect your liquid level sensor. Connect your water level sensor. Connect your pump to the Sonoff output. Connect your input electrical wiring. Test all connections are securely fastened. You can toggle the on/off of the pump by pressing the toggle button. Once the pump is running changing the position of the float in the float sensor will cause the Sonoff to stop the pump. 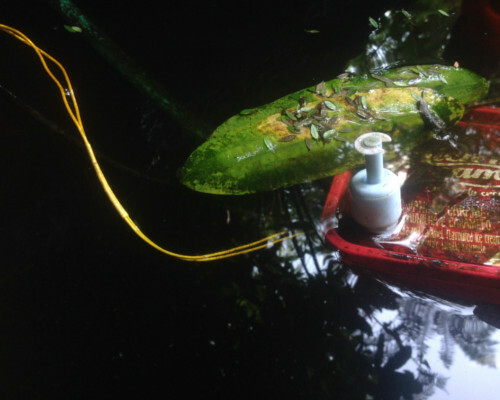 This needs to be submursed, pump (bio filter) and sensor connected in single housing (icecream tub). In this PVC housing the plates are secured using cabinet door magnets for easier access and maintenance. 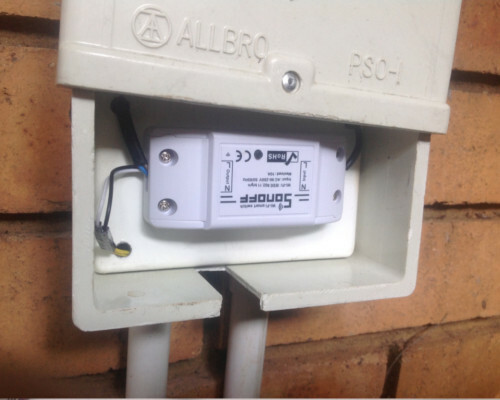 Ensure you are using a proper and compliant waterproof box to house your electrical equipment (Sonoff basic) in. Ensure you plan to be able to remove the unit with minimal effort should you need to manually USB reflash it again in future. Adding ESPHome to Home Assistant.